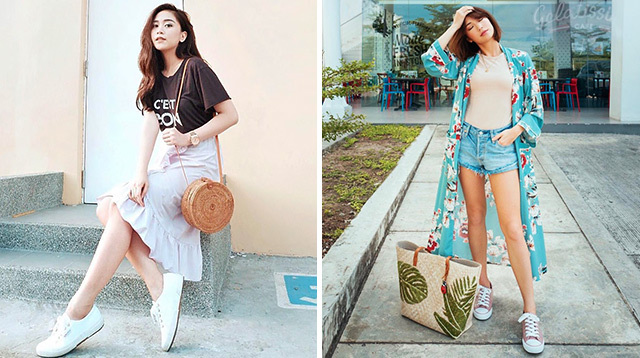 The -ber months are here, but there’s one summer trend that’s still all over our IG feeds: Woven bags. What started out on the streets of the most fashionable cities across the globe as bayong-looking straw totes, has now evolved into rattan clutches, wicker handbags, woven buckets and a couple more varieties making a clear statement that it is here to stay. It’s not yet too late to get in on the trend! Just check out these ladies who are still sporting their woven beauties like its summer in September. From Hollywood to Cebu, woven totes are all the rage. Complete your OOTD with the versatile round woven variety. If the rattan roundie is too small for you, there are also bigger hand bag styles. How about a cute mini? Baskets have never looked this good! Woven purses that you can take from Cali to Paris.